The Robo-Hunter Casebook, Books 1-4 | 'TAIN'T THE MEAT… IT'S THE HUMANITY! A while back I posted an article extolling Titan Books’ 2000AD reprint series from the 1980’s. 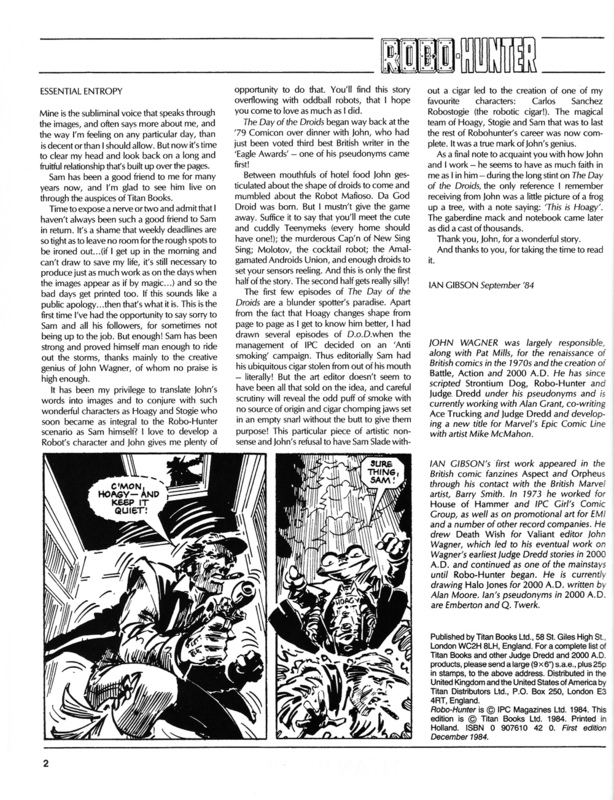 Beginning with The Chronicles of Judge Dredd in June 1981 these collections reprinted between 64 and 96 pages of material from weekly British science-fiction comic 2000AD. The books were a huge success and throughout the rest of the Eighties Titan released a further 39 volumes featuring the future lawman. 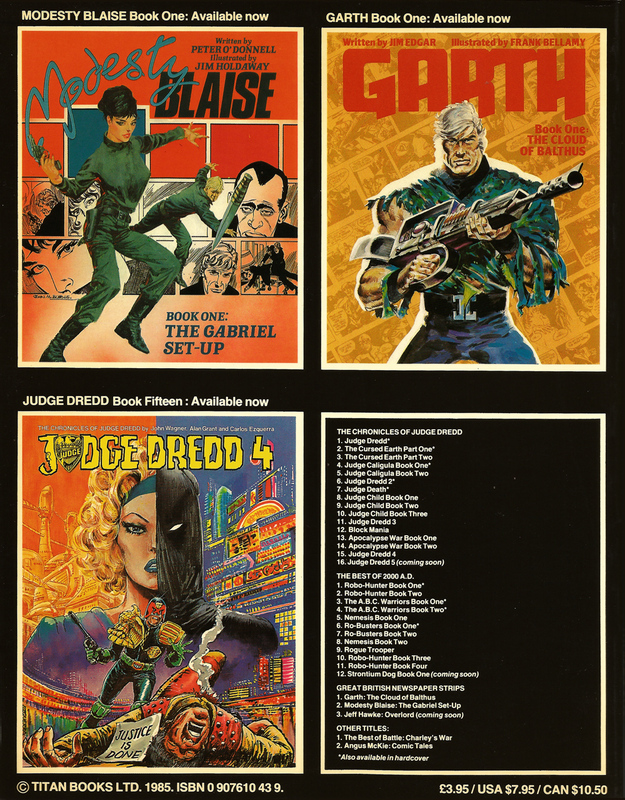 To capitalise of the success of the Dredd books Titan also released dozens of volumes featuring reprints from other 2000AD strips, as well as those from daily newspapers, that showcased the work of some of the UK comic book industry’s biggest talents. 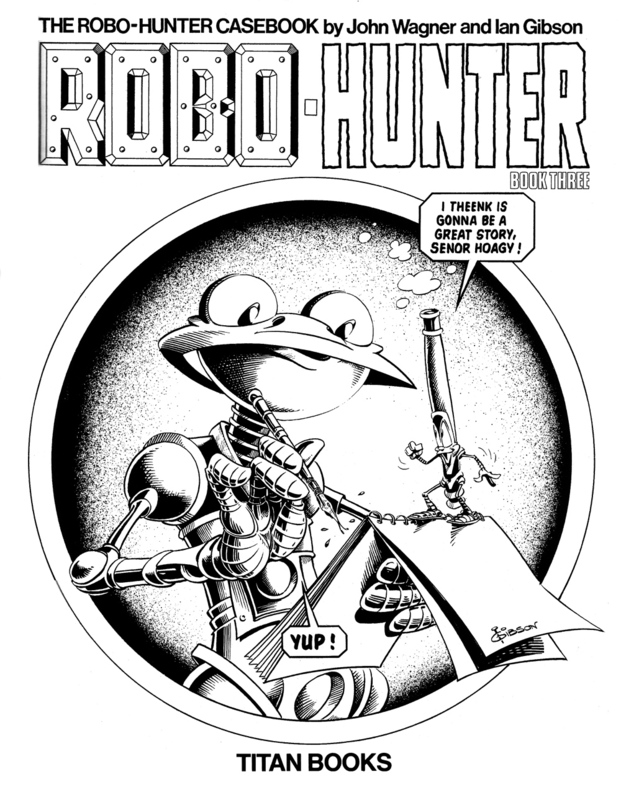 One 2000AD character to receive the Titan reprint treatment was John Wagner and Ian Gibson’s Robo-Hunter. The strip is set in the near future where unchecked urban sprawl has led to most of Britain being covered by one giant city (Brit-Cit). All manual, and menial, labour is undertaken by robots – everything from litter collection to open-heart surgery is done by machines. This mechanised mishegoss is the back drop for the adventures of private-eye Sam Slade and his mismatch collection of robot companions. Although light-hearted and often played for laughs, Wagner’s scripts were nonetheless action-packed, with plenty of peril for the hapless Slade to stumble into. As entertaining as the stories were though it was Gibson’s artwork that really attracted me to the strip. Although not the first artist to work on the character (Jose Luis Ferrer was the strip’s original artist but his work was deemed unsuitable and much of it was redrawn by Gibson) he certainly made it his own. Combining both a keen wit with an terrific eye for detail, the artist created a body of work that surprises and thrills to this day. 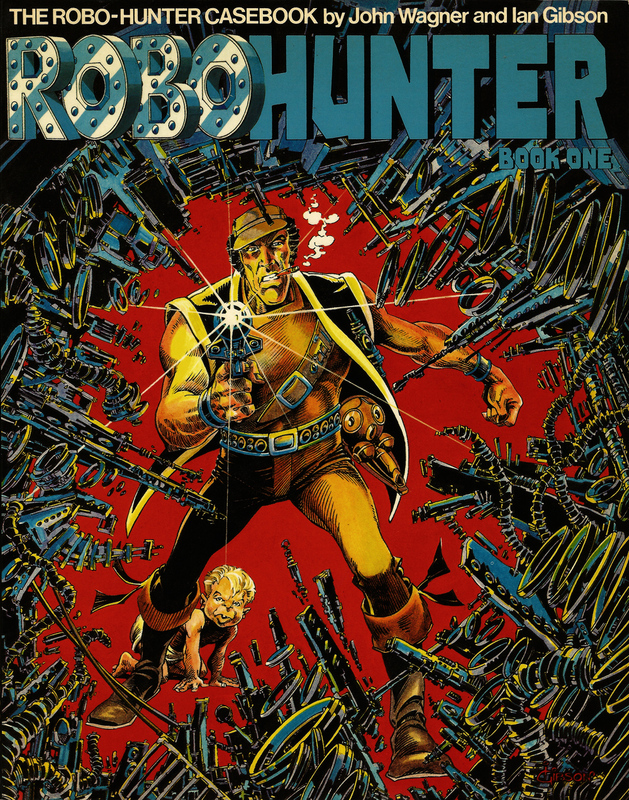 Between 1982 and 1985 Titan released four volumes of reprints starring Sam Slade under the umbrella title The Robo-Hunter Casebook. 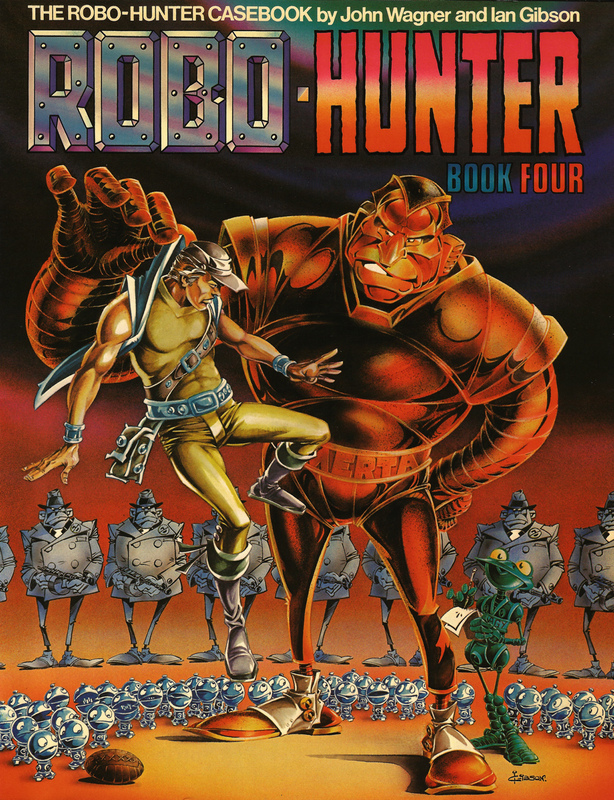 The books reprinted the first two Robo-Hunter storylines – Verdus and Day of The Droids – as well as a few Dredd stories drawn by Gibson, along with some 2000AD covers and pin-ups. As with all the other Titans books they were printed in black and white with heavier stock full-colour covers that featured original artwork by Gibson. All four volumes also featured Introductions by Gibson and Titan publisher Nick Landau along with short biographies of Wagner and Gibson. The covers for all four volumes are terrific. I can clearly remember the first time I saw the cover to the first collection – I was just blown away by the detail and wonderful colour work. I bought a copy there and then and it (as well as the other three volumes) is still in my collection over 30 years later. 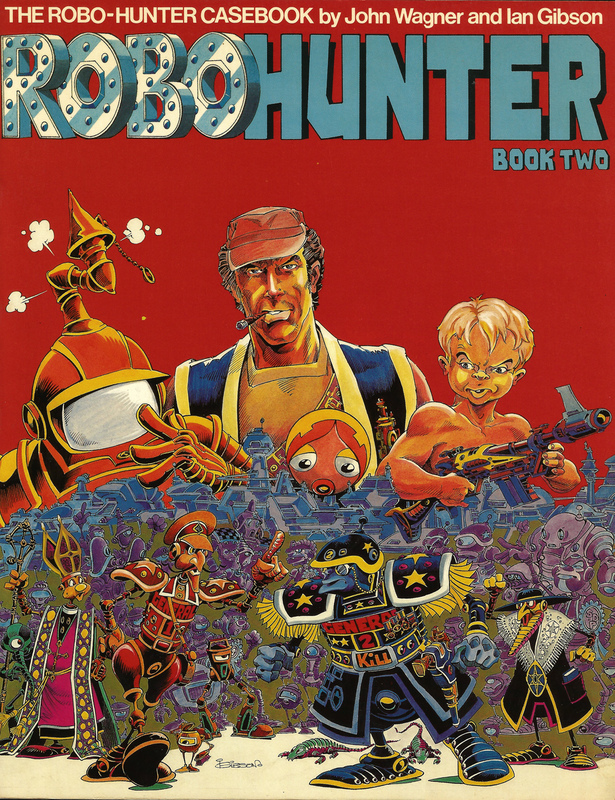 All four volumes of The Robo-Hunter Casebook are, unsurprisingly, now out of print but die hard fans of the strip can still find copies on ebay for around £10. For the more casual fan all the stories featured (and more) can be found in Rebellion’s excellent two volume collection Robo-Hunter: The Droid Files. 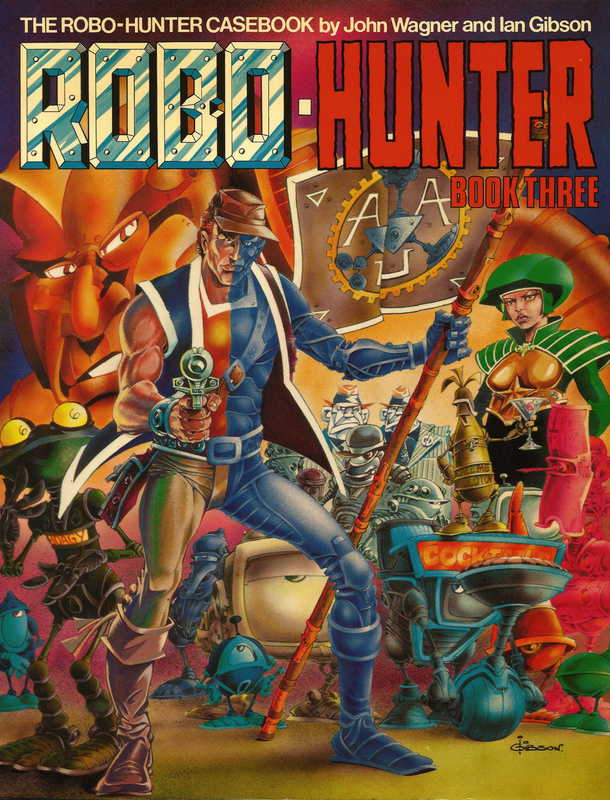 Here are all four volumes of The Robo-Hunter Casebook, with annotations. Written by John Wagner with art by Ian Gibson (Jose Luis Ferrer drew the first three episodes with alterations by Gibson.